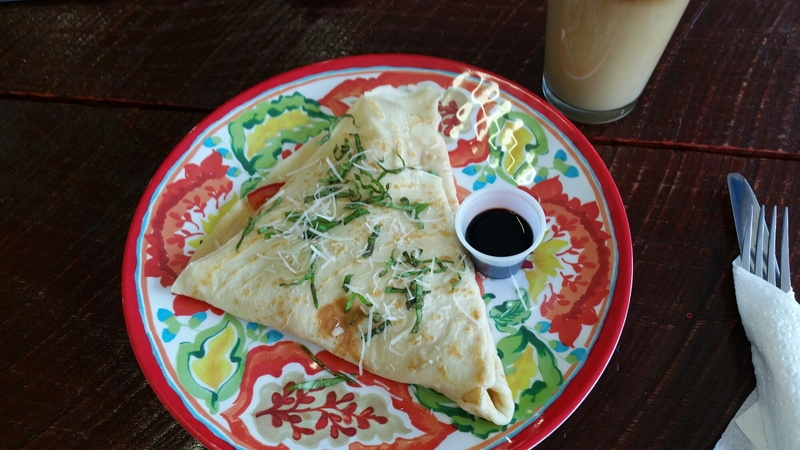 Shot Tower Coffee is located in the Queen’s Village/ Bella Vista neighborhood of South Philly. This contemporary coffee house with rustic features offers a nice place to enjoy a cup of coffee. With indoor and outdoor seating you are sure to find a good spot to relax. The communal seating is a plus for meeting up with friends and family. Oh! You want to know my favorite part of this #esspressotrip? I thought you’d never ask:) The Iced Mocha! First of all they start with carefully sourced and handmade coffee from CounterCulture. Secondly, they make their own chocolate syrup for this handcrafted drink. Now it doesn’t get much better than that! Right? My husband and I thoroughly enjoyed this “His” and “Her” espresso treat. 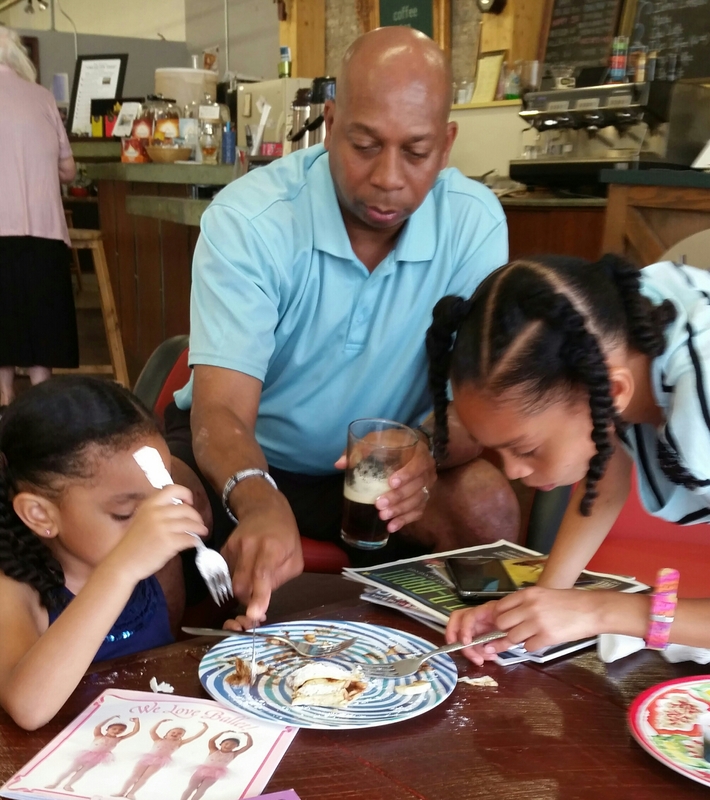 Categories: Uncategorized | Tags: art, Bella Vista, chocolate, Counter Culture Coffee, espresso, food, java, music, Queens Village, Shot Tower, South Phiilly, South Phila | Permalink. The Drunken Monkey is located in the “Milk District” on Bumby Avenue in Orlando Florida. It has to be one of the most unique coffee houses I have visited. Some people describe it as hipster but I call it “uniquely eclectic.” You will find local art and a variety of comfortable places to sit but no one piece of furniture matches! LOL! They also have a drive thru, which is pretty cool too. 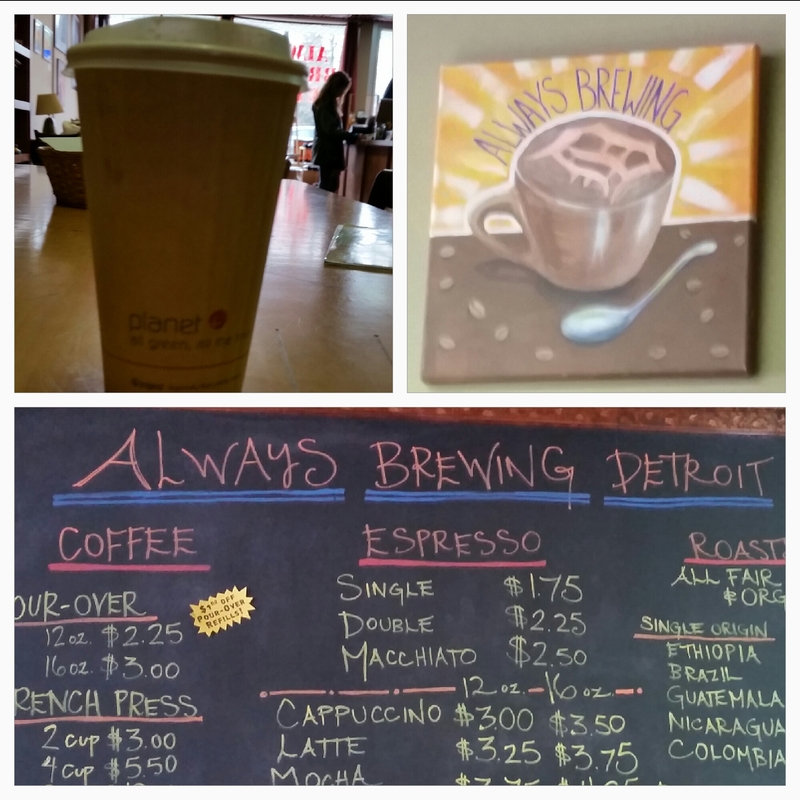 Always a plus, the coffee is roasted in house and they only serve fair-trade, organic or rain forest alliance beans. In addition to coffee, The Drunken Monkey serves tea, smoothies, iced and frozen drinks. They also offer an assorted variety of vegetarian sandwiches, soups, quiches and pastries. I enjoyed the Iced Mocha and my husband had the Iced Caramel Latte. Both were really good. We also had the breakfast burritos, Anzac Cookie (banana, peanut butter and chocolate), snicker doodle and chocolate chip cookies. The Anzac was by far a favorite. Delish!!! The staff and baristas were very professional and accommodating. If you are a coffee connoisseur and find yourself in Orlando Florida’s Milk District, give them a visit. You will be pleasantly surprised and happy you did! Categories: Uncategorized | Tags: Anzac, art, breakfast, breve latte, cappuccino, coffee, coffee house, cookies, java, latte, Orlando Florida, pastries, sandwich, soup, tea, The Drunken Monkey | Permalink. Today was an exciting day! I visted one of the most interesting coffee and art establishments by far: Plum Brew located in “My Hometown” Johnson City TN. I always feel a sense of great joy coming back to visit family but Wow this makes it a little sweeter! 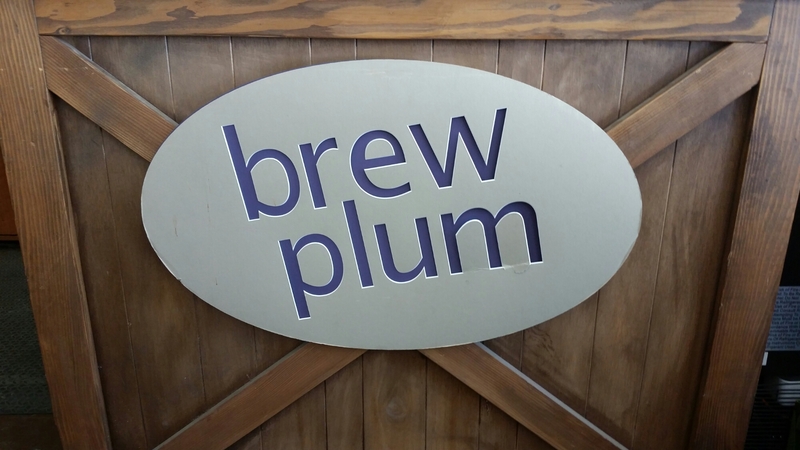 Plum Brew is located downtown inside the Nelson Fine Art Center. They offer a variety of coffees, espresso drinks, hot teas and hot chocolate, local-made backed goods and house-made crepes! They even provide delivery to downtown businesses! P.B. has an online store but more excitingly they now serve Nitro! 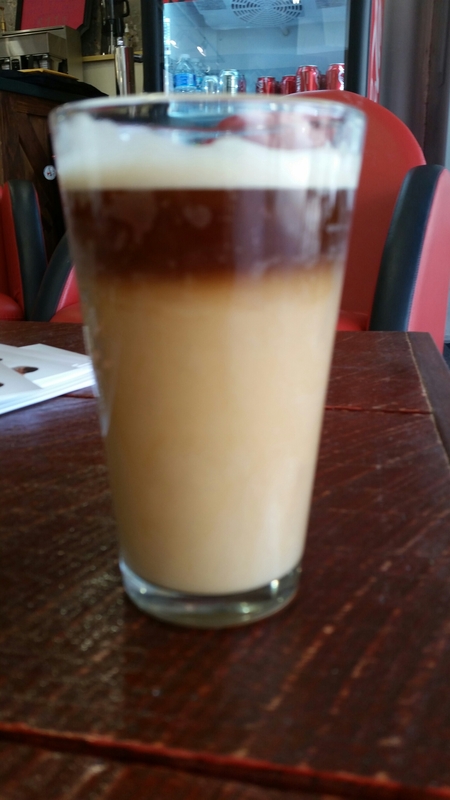 As you may have read in my last post, Cold Brew Nitro is a high caffeine “on tap” coffee that pours like Guinness. My husband and I had the Johnson’s Nitro! It was so smooth and had a beautiful finish. 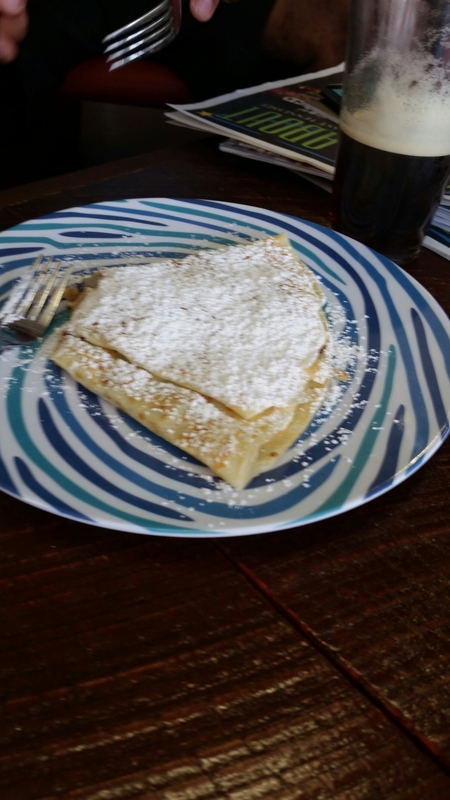 The Crepes were amazing! We had the Skinny Italian: with tomatoes, basil, mozzarella and balsamic drizzle. To finish, we enjoyed the Banarama: with Nutella and Fresh Bananas! Oh what a treat!!! If you happen to find yourself in East TN, especially near Johnson City, do yourself a favor and stop by Plum Brew. You will be pleasantly surprised!!! Categories: Uncategorized | Tags: art, art class, breve latte, coffee, crepes, hot chocolate, java, Johnson City, lattes, Nitro Cold Brew, tea, TN | Permalink. 49 West Coffeehouse is far more than a coffee house. It expands beyond just a restaurant. This establishment offers breakfast, lunch, dinner, wine, coffee, an art gallery and live music. The atmosphere is relaxing but rustic, making it a great meeting place for family, friends, co- workers and small business meetings. My husband and I visited the “House” on a couple of occasions. Each time, the coffee was awesome and beyond your average cup of “Joe.” I ordered the White Mocha with Whip, lightly sweetened (of course). After the first sip I actually did a “small” happy dance. It was very good and the Barista sweetened it just perfectly. Another time we visited 49 West for the live music. The band was phenomenal and very interactive. They even sang happy birthday to my Husband! Very Enjoyable! This night, I had a specialty coffee drink and again it was delicious. 49 West not only has great coffee, it offers a little something for everyone! While I found the food to be a bit mediocre and under whelming, the overall service was great. I am sure to visit again and hopefully I will pick a dish that matches the same expectations of the coffee. If you visit Annapolis, MD. please visit 49 West Coffee House. I am sure you will enjoy it, as it is a destination spot for this small Old Towne. Categories: Uncategorized | Tags: Annapolis MD, art, coffee, music, restaurant, wine | Permalink.